@AnteUpMagazine 2016 NorCal Classic closed out with a Sunday night $155 Hold'em with $50 Bounties. Here's everyone who cashed. Action 8 was one of two events on the final day of the 2016 NorCal Classic, and here are the results. @Michael_Loncar wins the NorCal Classic Main Event for the second time in three years. Here are all the players who cashed in the 2016 Main Event. @Michael_Loncar has been here before. 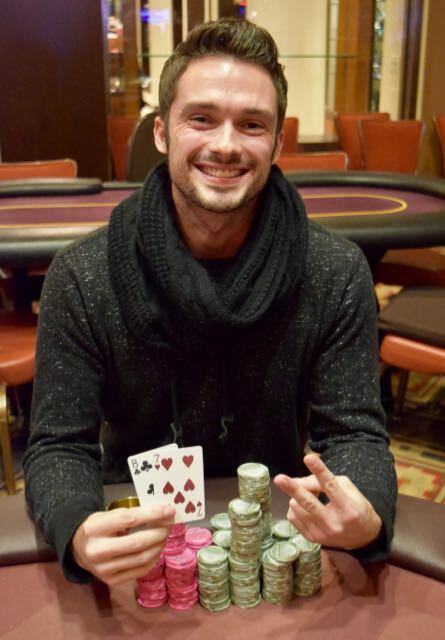 For the second time in three years, the Ante Up Poker Tour NorCal Classic Main Event title is his. 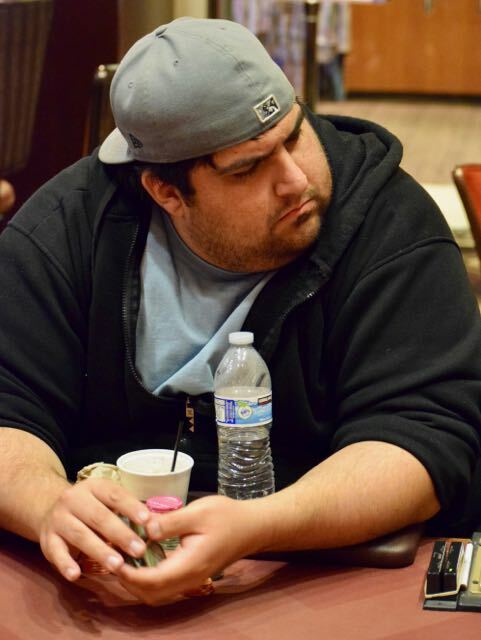 Loncar made his way through the largest 2-flight Main Event field @TVPokerRoom has ever held, a 630-entry field playing for a total of $315,000. I'd say Loncar was pretty comfortable about his chances, so much so that he showed up for his Day 1 flight wearing a bathrobe, and stayed in that robe all day and night. 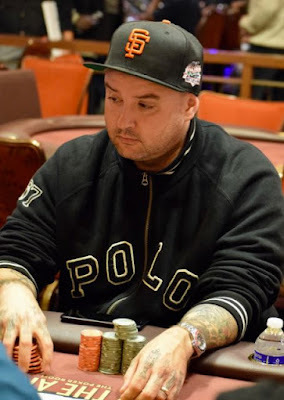 Day 2 was quite a bit from the norm, as only one of the top-30 in chips to start the day - 5th place David Valdez - made the final table. 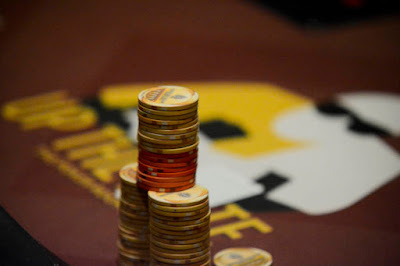 Loncar started right in the middle 49/100 with 140,000 chips. He built throughout the day, and took the chiplead right after the 27-player redraw. 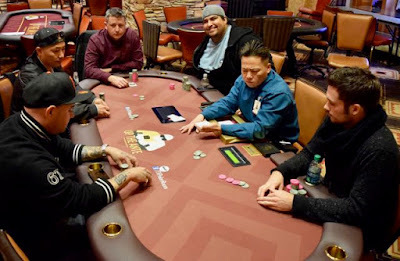 At the final table it was Loncar and James Starr who traded the chiplead back-and-forth for the better part of three hours. These two made it heads-up, with Loncar's top pair holding against the second pair of Starr on the final hand. Aaannnnddddd.... for those who don't believe the bathrobe story ... here's proof. 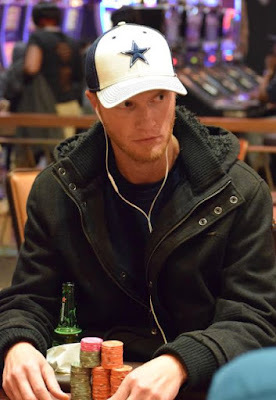 Both James Starr and Michael Loncar caught a piece of the 8-6-3 flop and their chips ended up in the middle, with Loncar's 8-7 ahead of the 5-6 of Starr. Both players have backdoor straight draws as well. The 4 on the turn gives Starr a gutshot straight draw to the 7 of Loncar. 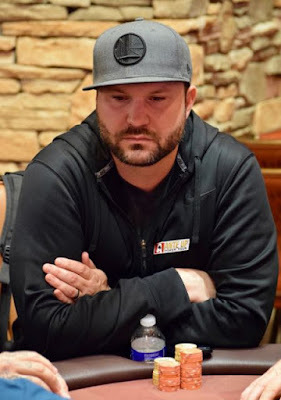 @Michael_Loncar and James Starr have traded the NorCal Classic Main Event chiplead back and forth for the better part of the last three hours at the final table. These two are the last two players remaining, with heads-up action set to begin shortly. One hand after doubling through James Starr TT > 55, Apollo Wallace (above) is off to the races for his tournament life with AK against the 33 of Michael Loncar. 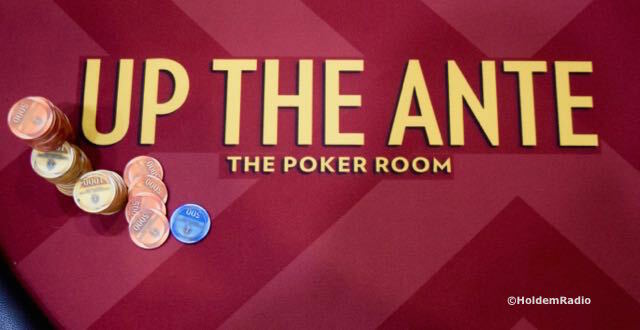 There's no paint on the flop, not on the turn, no help on the river and AK falls to 33. Apollo Wallace - 3rd Place - $24,303. Ying Vang has two big cashes in Ante Up World Championship $1650 Main Events. 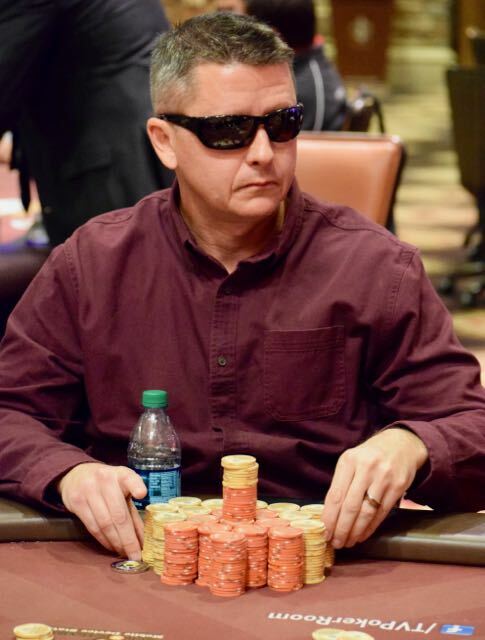 He was 7th in 2014 and 12th last August, both here at @TVPokerRoom. 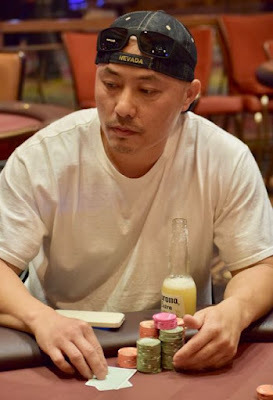 Yang just took 4th place in the NorCal Classic Main Event when his A/2 all in preflop ran in to the A/Q of Michael Loncar. 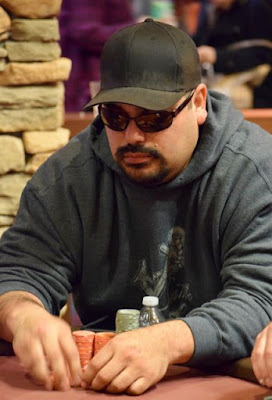 David Valdez moves all in with 9/9 and runs in to the T/T of James Starr. 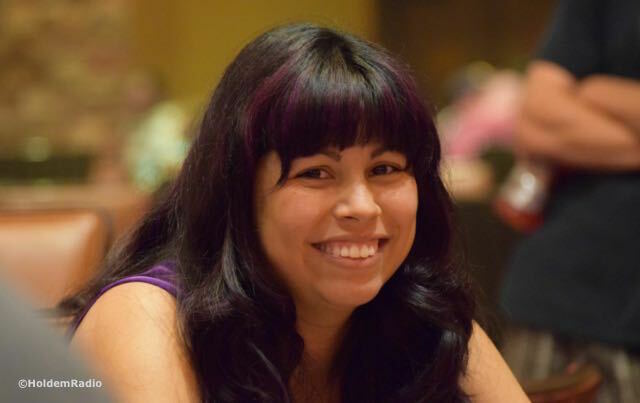 Starr has Valdez covered, the board runs out 8-8-8-x-x and both players have boats, but Starr's is bigger and Valdez is out in 5th place in the Main Event. Dalton @PlzFold Still took down the 2016 Ante Up World Championships Player of the Series last August and gets his picture on the cover of Ante Up Magazine. If that was not enough, Still has just secured the overall Ante Up Poker Tour Player of the Year title with additional cashes in events here during the NorCal Classic. Still and Matt Boddorf battled down to the Main Event where Still cashed in 56th and Boddorf 44th. The Player of the Year race was up for grabs, however, with Still leading by about 41 points. Still jumped in the 2pm Action8 and Boddorf the 7pm Bounty Event - the final two tournaments in the series and of the year for the poker tour. Boddorf needed to cash in the Bounty and finish higher than Still would in Action 8. Boddorf was unable to finish in the money in the bounty tourney, while Still remains in the Action8 and in the money, securing his win. There's three nights at Thunder Valley Resort and a $250 resort credit coming to Still during the 2017 Ante Up World Championships for his Player of the Year title. Michael Loncar, Apollo Wallace, Ying Vang, James Starr and David Valdez are fighting for the cover of the next Ante Up Magazine and an entry in to the 2017 Ante Up World Championships to be held here at @TVPokerRoom for the fourth consecutive year. Loncar holds the chiplead 5-handed, and just about every one of the other four has been all-in, at-risk, and has won, in the last 45 minutes. 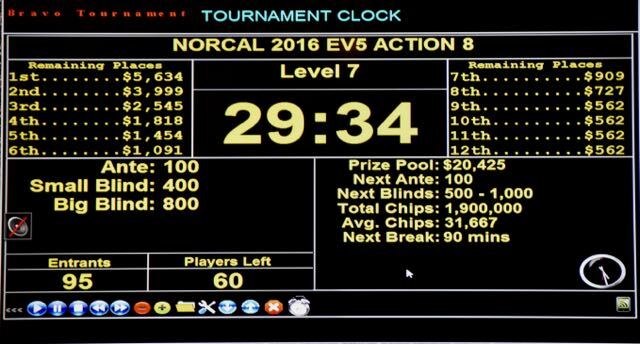 86 $50 bounties were at risk in tonight's final event in the 2016 NorCal Classic. Here is the PayLadder. 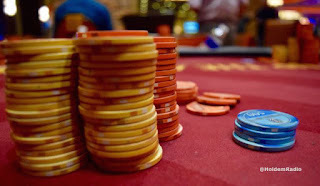 @TVPokerRoom hosts guaranteed prize pool tournaments each of the next two Saturdays. Saturday Dec. 10 is the One-Day-$100k guarantee, a $400 buyin. The First Saturday always draws a big field, and the One-Day-100K is one of the most popular tournaments on the yearly calendar. Check out all the details on the Thunder Valley Resort Website. Trip 5's for @Michael_Loncar with A/5 of a x-5-x-x-5 board against James Starr - that's the same A5 Starr was holding a few hands earlier when he lost a race with Loncar for the chiplead. Loncar moves to 7.1 million, Starr slips to 3 million. There's already a bet of 700,000 from chipleader James Starr on a board of , and 1,600,000 in the pot. 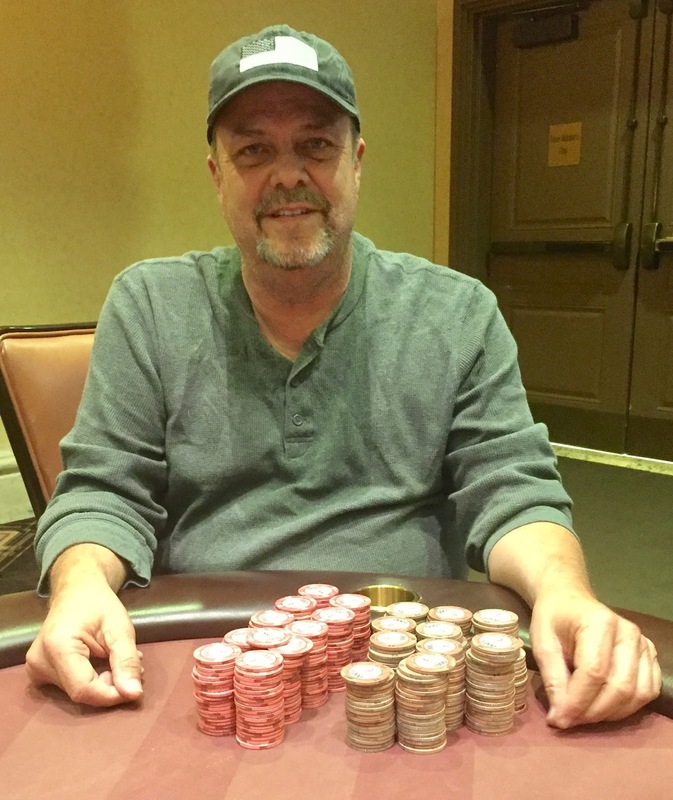 Michael Loncar (above) moves all-in for 1,435,000 total. Starr confirms the count of Loncar's chips by the dealer, and makes the call, having about 3,400,000 behind after the call. Loncar turns over 7/7 for a turned set and he's in a race as Starr has for a flopped second pair and a turned flush draw. The river is and Loncar's celebratory chant echoes through the room. 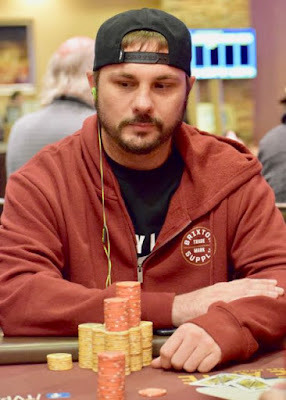 Just after the bustout of James Mitchell in 7th, it is Frankie Keeth (above) finishing in 6th place in the NorCal Classic Main Event. Here is what Keeth cashed for, along with the cashes for the players in 7-13th place. James Mitchell opens for 500,000. James Starr (above) 3-bets to 1,500,000. 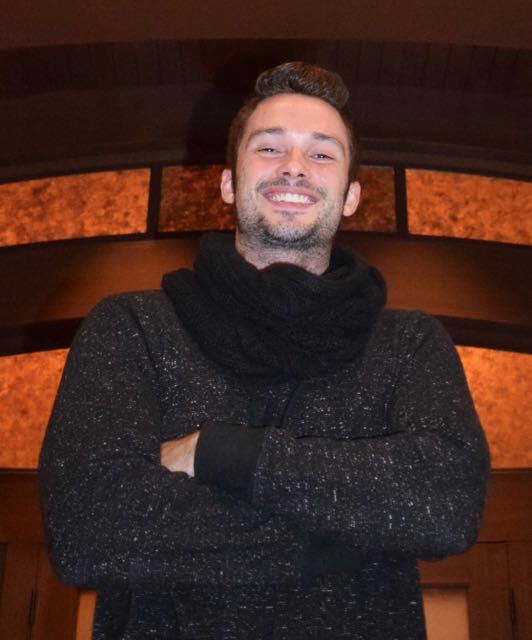 Mitchell doesn't hesitate much, then moves all in for 2,860,000 and Starr snap-calls, creating a 5,7 milly pot, by FAR the biggest pot of the entire NorCal Classic Main Event. Starr has Mitchell covered by about 1.5 million. The board blanks and Starr - who already had a big chiplead, moves to 7,360,000 total, just shy of half of all the chips in play. Cherie and Apollo Wallace may be the Ante Up Final Table Couple of the Year. Actually, I don't think it is even close. 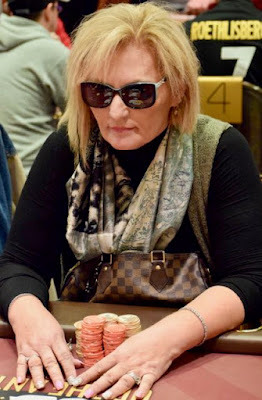 Cherie finished 5th in the Ante Up World Championships here at Thunder Valley last August - she also finished 7th here in 2014 in the NorCal Classic Main Event. All in for his tournament life with 3/3, Rafael Gonzalez (above) runs in to the J/J of James Mitchell and Gonzalez does not improve. 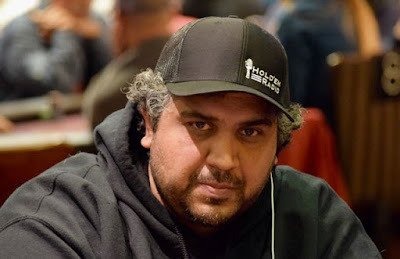 Dal @XrayBains is among the players who cashed in 14-24th place in the NorCal Classic $555 Main Event. here are those cashes. Dee @DNUTZS888 Timmons is among the group of players who finished 25th-36th place in the 2016 NorCal Classic. Here are their cashes. All in for his tournament life, James Mitchell turns over JJ and has run in to the AA of Thomas Haury. So, how do you play JJ when behind? You flop a Jack and turn another for quads. 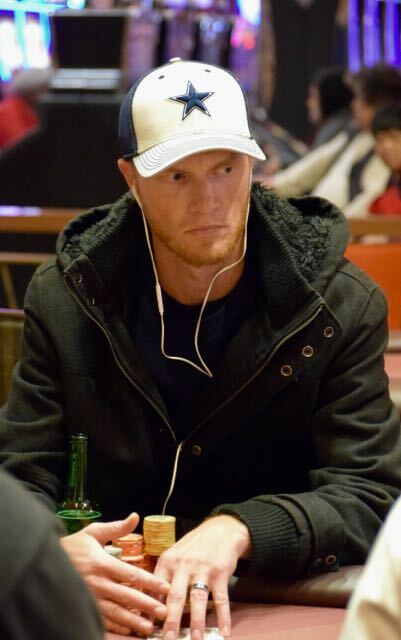 Haury was eliminated a few hands later in 14th place, cashing for $3,541. 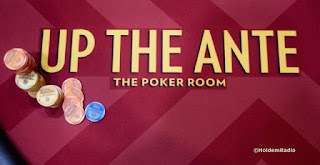 Event 5 in @AnteUpMagazine Poker Tour's NorCal Classic - the $250 Action 8 with a $10,000 Prize Pool - just closed registration with 95 total entries and a prize pool of $20,425, doubling the guarantee. Check out the photo above for the scheduled payouts. 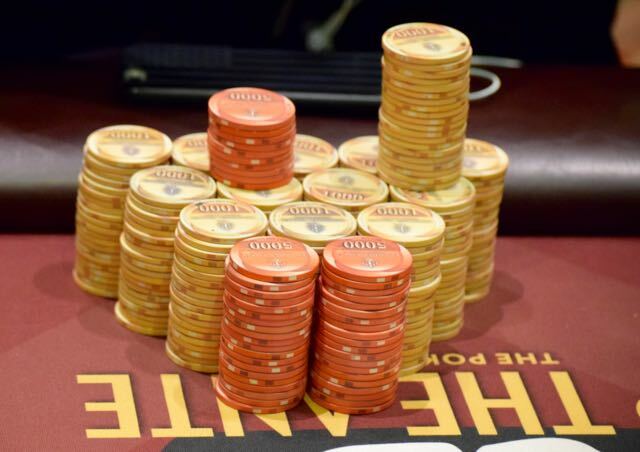 7pm is the final event of the series, the $155 Hold'em with $50 bounties. James Starr is almost 500k clear of the field with 16 players remaining in the 2016 NorCal Classic $555 Main Event. Here is the list of players who are more than a milly in chips. 1,500,000 - Apollo Wallace - (Cherie, Apollo say "Hi, I love you." The final event for 2016 for the entire Ante Up Poker Tour takes place tonight at 7pm with Event 6 in the NorCal Classic series, a $155 Hold'em with $50 bounties. Start with 10,000 chips and play 20-minute levels in this never-any-antes tournament. Late registration closes at the start of Level 4 at 8:35pm. Yotam Shmuelov moves in for his last 5BB and Brian Halloran moves over the top all-in for 635,000. Action folds around to Apollo Wallace who sure looks like he wants to call the two all-ins and still have 200k behind. Wallace finds a fold and celebrates when he sees the hands. "I had A/K," says Wallace. The board blanks and Halloran gets the knockout, Shmuelov gets 20th place and Wallace holds on to his 800k. Roller Coasters make me sick. The ride Kim Huynh was on today would have sent me to hospital. Huynh started today with a big chiplead, her 667,000 was nearly 200k clear of the field. She went up to 850,000, down to 300,000 then up to 1.282 milly on the 27-player redraw as the 2nd-stack in the Main Event. 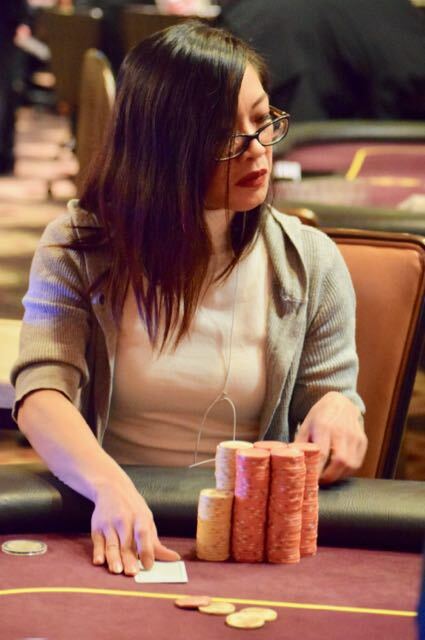 Michael Loncar, however, took 2/3rds of that stack right after redraw, and Huynh just called off her remaining stack on the river with Ace-high .. and she was not good, ending her day in 24th place. 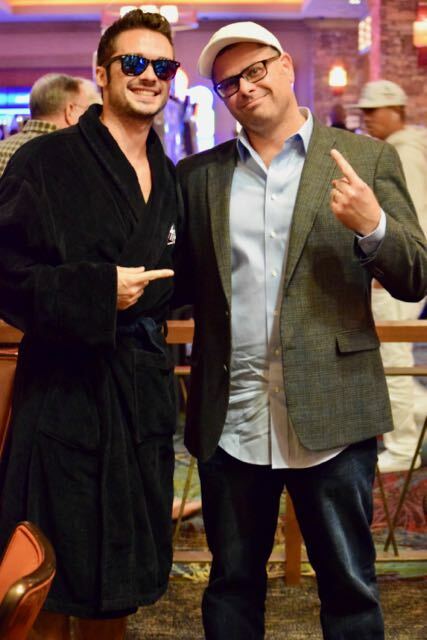 Yesterday, he was known for showing up for 2016 NorCal Classic Main Event Day 1B in a bathrobe. Now he is known as chipleader with 26 players left. 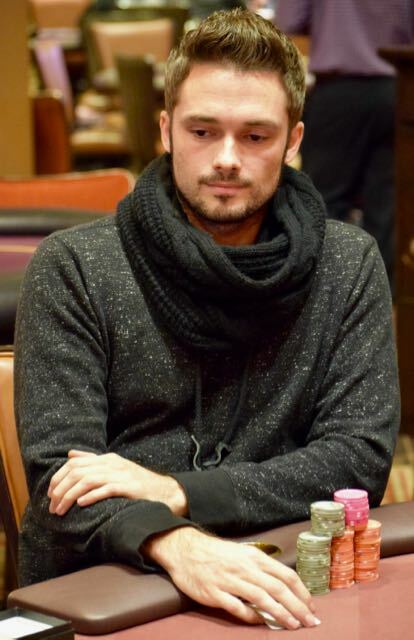 Loncar just doubled through Kim Hunyh in a 1.75 milly pot, Huynh slipping down to 400,000. Both here @TVPokerRoom and @TurlockPoker, Rafael Gonzalez (above) has been on an extended #RunGood. Gonzalez is the 2016 WPTDeepStacks Turlock Player of the Series from late May. He had a win, a 3rd, a 4th and was 14th in the $1,100 Main Event. 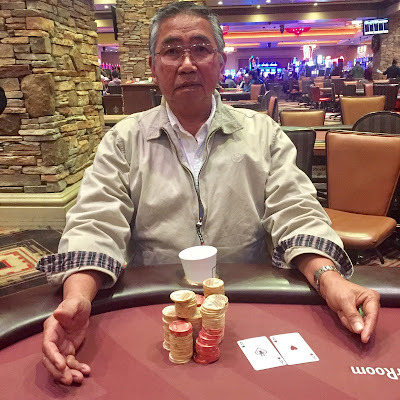 He came to Thunder Valley in late July and was runner-up to Joe Christman in the Ante Up World Championships version of The Monolith $425. 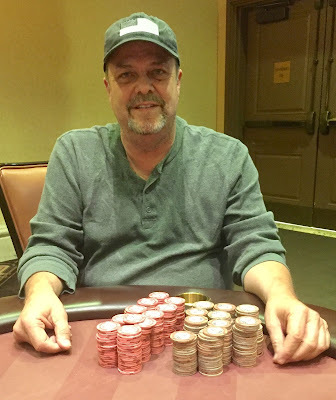 Last week he won the TurlockChampionship Series $550 Main Event. 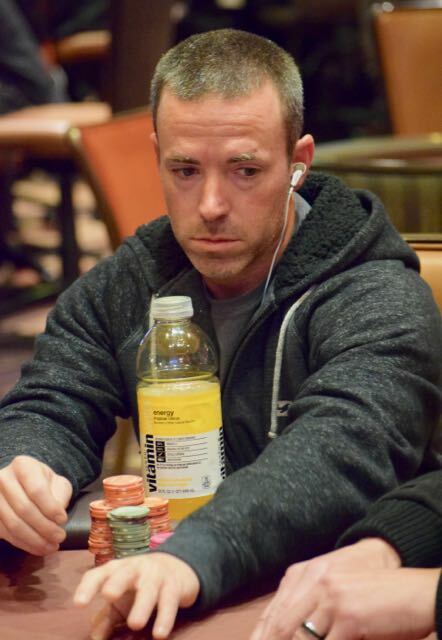 Now he is at 1,100,000 with 18 players remaining in the NorCal Classic $555 buyin. Seems the $225-$1,100 range is a place where Gonzalez feels VERY comfortable. 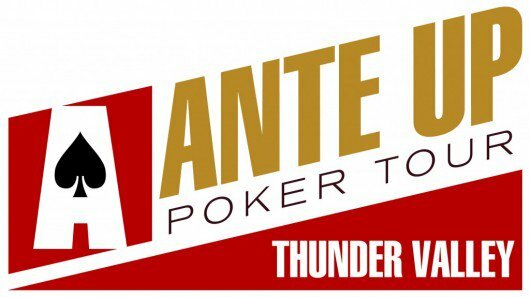 Down to the final 27 players in the 2016 @AnteUpMagazine Poker Tour $555 NorCal Classic Main Event. Here is the redraw with chipcounts. 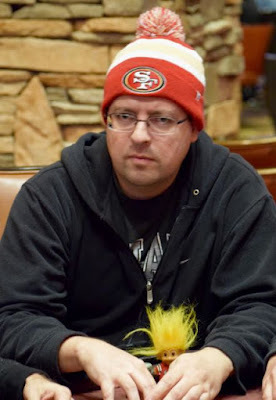 Matt @PokerNews916 Boddorf cashes in 44th place in today's 2016 NorCal Classic Main Event. Here is everyone who joined Boddorf at the $1,567 cash level.